not anticipated, but a few stronger thunderstorms could occur. gusty winds, and locally heavy downpours. We’ve got some storms firing off today. Hopefully I get some good rain. I just fertilized 12 crepe myrtle trees in my back yard yesterday evening and didn’t water it in. Figured I’d let Mother Nature run it’s course . Fertilizer is most definitely watered in. Or washed away! 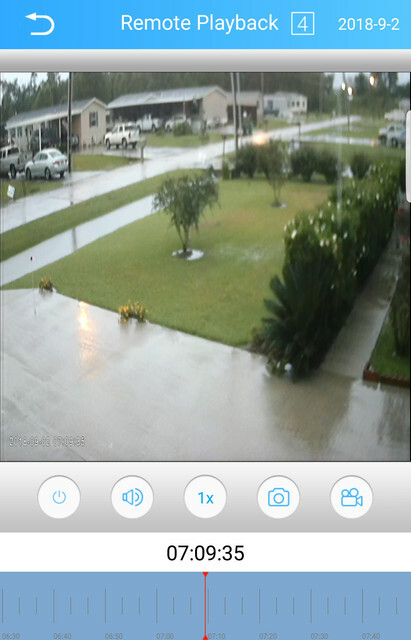 I just checked my security cameras from work and we are getting a gully wash at home right now! Crepe Myrtles are hard to kill. You can actually grow them from twigs, as I did twice before (once in my garden and forgot about it until it grew too big and had to be removed). QPF over the next 7 days. Let's see if that heavier area can remain offshore. Yea, stay off-shore cooling our GOM waters abit before the tropical disturbance arrives mid-week. near marine locations early Friday morning. Otherwise, hazardous weather is not anticipated overnight. Scattered showers and thunderstorms will be working their way inland today and through the weekend. Most areas should generally see rainfall totals of around an inch each day, but localized spots could see a quick 2 to 3 inches of rain fall in a few hours time. 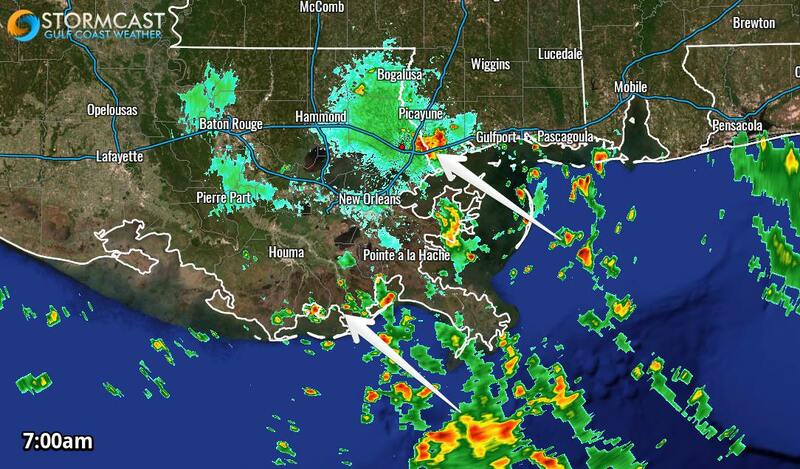 This could cause some localized flooding in some areas. As of this morning, no Flash Flood Watches have been issued. outside levees during high tide. Sunnylane Baybridge Estates have already received around 2 inches. Moody Gardens, Offatts Bayou and Galveston State Park.